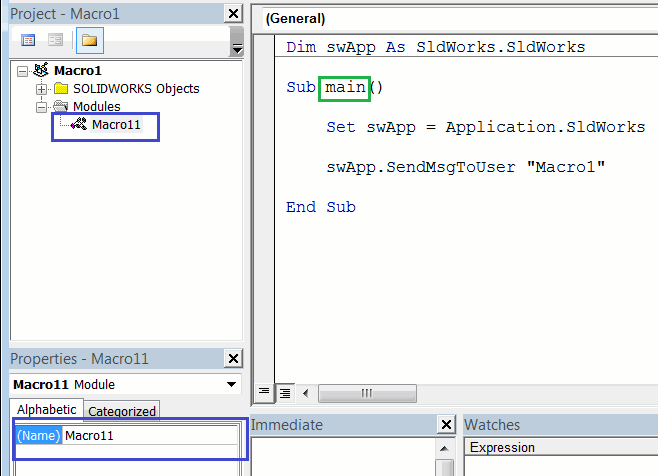 Macro can be run from another macro using the ISldWorks::RunMacro2 SOLIDWORKS API function. This enables the possibility to run multiple macros from within one macro. This can be useful when adding the custom macro buttons on the macro toolbar so multiple commands can be executed by one button click. 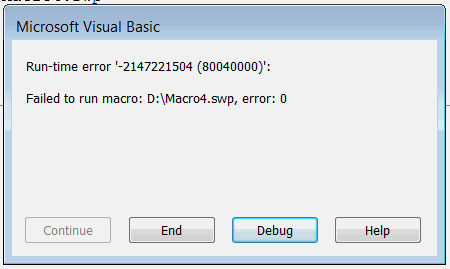 The following example allows to run several SOLIDWORKS macros within one macro. Change the arguments of RunMacro call to call your own group of macros. RunMacro "Full Path To Macro", "Module Name", "Entry Function Name"
Module Name - name of the module where the main entry function is defined. This is usually the macro name followed by 1. 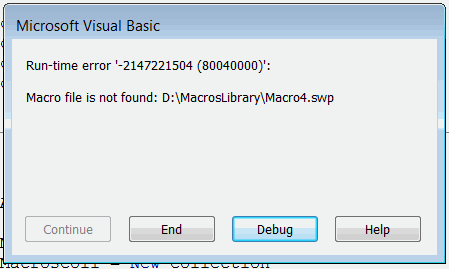 The following macro provides more advanced functionality of running the macro. It allows to specify the multiple comma separated macros as well as folders using the full path or relative path. This enables better experience when maintaining the macro. If empty string is specified, i.e. Const MACROS_PATH As String = " "
All macros of the folder where this master macro is placed will be run. This option is useful as it is only required to copy the master macro to the location of the macro library to run without the need to modify it. Const MACROS_PATH As String = "Macro1.swp, D:\Macro2.swp, D:\MacrosFolder, Macros\Assembly"
Const PATH_DELIMETER As String = ","
Const MACRO_EXT As String = "swp"